Wholeness: your body, soul, and relationships being more and more in sync through your joy in Jesus. That is my prayer for you through the several helps on this website. Sounds like a big goal, right? Maybe you’ve heard the saying, “Life is not a sprint…it’s a marathon.” That caution and encouragement makes a lot of sense, since most of us tend to waffle between a frantic pace and the inevitable collapse. But, to be completely honest, most of us could probably complete the distance of a marathon in a few days, even if we had to do so limping at a snail’s pace. The Christian’s journey with Jesus is more of a life-time hike, isn’t it? He takes us up mountains where we can see the big picture of His plan, breathe the fresh air of His grace and intimate relationship, and renew our commitment to Christ for what’s ahead. After all, we know there will be valleys and trenches when He takes us back down. The video below briefly describes how this website may be helpful to your journey of joy in Christ. 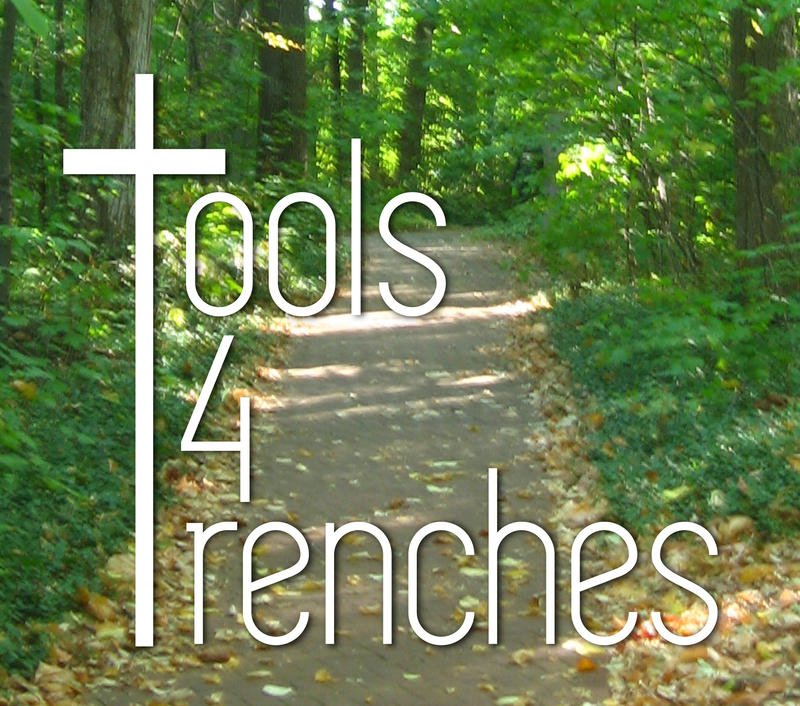 Again, the goal of this blog is to equip and encourage you with tools for this life’s trenches. Building our heart, mind, soul, and strength in Christ will not save us. Only Jesus saves those who follow Him by faith, and He perfectly secures their salvation. So why should we put any effort into our walk with Christ? Using the same imagery of journeying, before the Lord washed His disciples’ feet “Jesus said to (Peter), ‘The one who has bathed does not need to wash, except for his feet, but is completely clean. And you are clean…'” (John 13:10) But much of this world is a dirty place, isn’t it? So, by God’s grace, I will be providing you with some tools to help you prepare for, wade through, and recover from those trenches by resting in Christ. And by “rest” I’m not talking about doing nothing. It’s very possible to run toward some goal so hard that we’re covered in sweat but also loving every minute of it. That’s real rest. The Lord created us to be doers, influencers, and even rulers in this world, but rulers in Christ (not exhausted quitters or control freaks) for our rest and others’ rest in Him. Much of our journey might be described as works of leadership and counseling in Jesus. You can click on those links for introductory articles on 4 basic areas in each. The Lord has called all of His people to be godly leaders: most simply to encourage and equip others to follow us in a godly direction. That direction is for a closer relationship with Christ and all the blessings of His kingdom, even the privilege of blood, sweat, and tears for Him. As the Apostle Paul said, “Follow me as I follow Christ.” (1 Corinthians 11:1) And “counseling” is simply helping the stuck or wayward to get back on track. So every parent, older sibling, role model, volunteer, and certainly every Christian is to lead and counsel others to follow Jesus by faith. How are we to do this? By walking with Him. The greatest joy comes in facing more than we can handle and experiencing His incredible work through us and in us as we serve Him and others. The proof is in the path – even if we don’t fully understand our place in the journey at the time. God willing, over time I will provide a variety of tools for your trenches. You might find some encouragement to your faith and service to Christ in some of my completed video series, such as Jesus’ Sermon on the Mount and the book of Philippians, written series, such as Counseling as a Person of Understanding (from Proverbs) and a 50-day devotional series, or study materials like W.A.I.T. Training: relational fitness, body & soul and Life in Desert Places: a topical Bible study. To find many other posts within each of the seven series, go to menu above and click on the link at the bottom of each page. subject nevertheless I just needed to ask. I guess the amount of work will vary based on a number of things: levels of passion and sense of calling to do it, giftedness at tech, writing and video, comfort at putting yourself out there (vs. perfectionism), competing commitments of time, openness and creativity to generate new material, etc. I have a great sense of calling and creativity, but I struggle in the rest. My wife is much more skilled than I am at techie stuff. She and several WordPress videos helped me learn a lot. May God guide and bless your ministries! “Explicitly Christian.” 😆 I like that. Thanks, Randolph. Since I often copy/paste some of my posts on religiously pluralistic sites in other venues of social media, I try to be a clearly honest broker to non-Christians. I find that generally increases their willingness to read the post or view the video.